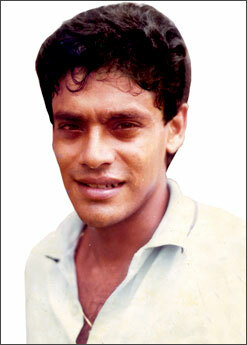 Ranjan Madugalle - A fine batsman, a true leader Schoolboy Cricketer award winner in 1979 and 1980. Chief Match Referee of ICC - the Chief Guest for the Observer-Mobitel School Cricket Awards ceremony on July 18. CRICKET: Top flight entertainment will add spice to the 30th Observer-Mobitel Schoolboy Cricketer of the Year awards ceremony to be held on July 18 at the BMICH. The mega show is brought up to pay tribute to the school cricketers who dished out superb performances to thrill school cricket fans in all parts of the country. There will be top-drawer entertainment too with Bhathiya and Santhush leading the way. In having a show of this nature Observer and Mobitel have had the good fortune of having the ready co-operation of Sri Lanka Cricket, Sri Lanka Schools Cricket Association and members of the Association of Cricket Umpires and Scorers Sri Lanka, Central Province Cricket Umpires Association and Southern Province Cricket Umpires Association. To have a show of this magnitude sponsors play a vital role and in Mobitel the organisers have got a willing partner to give the schoolboy cricketers and their supporters a really enjoyable time that will be remembered for many years to come. A show of this nature will also need someone special to be the chief guest and without batting an eyelid the name that cropped up was none other than a former Observer Schoolboy Cricketer of the Year - Ranjan Madugalle, who, after his school days at Royal College, went on to captain Sri Lanka and then brought honour to the country by being picked as the Chief Match Referee of the International Cricket Conference. The value of having Madugalle as chief guest at this show has been stressed as he is one cricketer that everybody looks up to as his knowledge of the game is such that what he says will be taken note of by the young cricketers and the elder folk as well. Besides Madugalle, a galaxy of stars who illuminated the Observer Schoolboy Cricketer of the Year show in years gone by winning top awards at the show Arjuna Ranatunga, Marvan Atapattu and Sanath Jayasuriya, all went on to captain Sri Lanka and they will also be there to give the event that all important look and to encourage the schoolboys to perform better. Arjuna Ranatunga - Schoolboy Cricketer of the Year in 1980 and 1982 World Cup winning captain for Sri Lanka. Now the Head of the Interim Committee for Cricket in Sri Lanka - another distinguished guest at the awards ceremony. (centre): Marvan Atapattu - Schoolboy Cricketer in 1990. Captained Sri Lanka - a fine opening batsman, (on right): Sanath Jayasuriya - Outstation Schoolboy Cricketer in 1988. 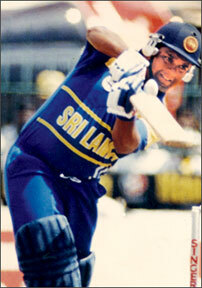 Captain of Sri Lanka and still going strong with his batting for Sri Lanka will give away the awards at the show. 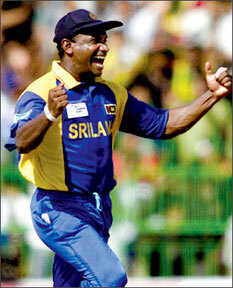 Speaking about Sanath Jayasuriya who has really hit the top in big-time cricket, he has also been a winner in the Observer Schoolboy Cricketer of the Year in the Outstation Segment when he was playing for St. Servatius College, Matara. Also gracing the mega event will be ministers Anura Priyadarshana Yapa, Susil Premajayantha, Lakshman Yapa Abeywardene, Gamini Lokuge and Bandula Basnayake as guests. Besides the top award for the Schoolboy Cricketer of the Year, there will also be the selection of the Outstation Schoolboy Cricketer of the Year and other sectional awards. Then the readers of the Sunday Observer and other ANCL papers have also contributed much in voting for their favourite schoolboy cricketers in the Observer-Mobitel Most Popular Schoolboy Cricketer (All-Island) and (Outstation). Ruwantha Fernandopulle - the Josephian skipper is in front in the All-Island Contest with a good lead and in second place is Naveen Kavikara of D. S. Senanayake College followed by Anandian Udara Peiris in third place. In the Outstation Contest, Rashitha Dilan of Bandaranayake M.V., Gampaha is on top with Shehan Silva of Joseph Vaz College and Chandimal Pathirana of St. Anne’s, Kurunegala in second and third place respectively. Voting in the Observer-Mobitel Most Popular Schoolboy Cricketer of the Year All-Island and Outstation will end on July 10th, 2008 at 12 noon. The last voting coupons will appear in the Daily News, Dinamina and Thinakaran on July 9. In the Sunday Observer, the last coupon will appear on July 6. All cricket fans and readers are requested to send the coupons in time and results will be announced in the Sunday Observer of July 13. 2004 and 2005: The main contest was not held, but the Observer Most Popular Schoolboy Cricketer of the Year Contest - Lahiru Peiris of St. Peter’s College was the winner on both occasions.